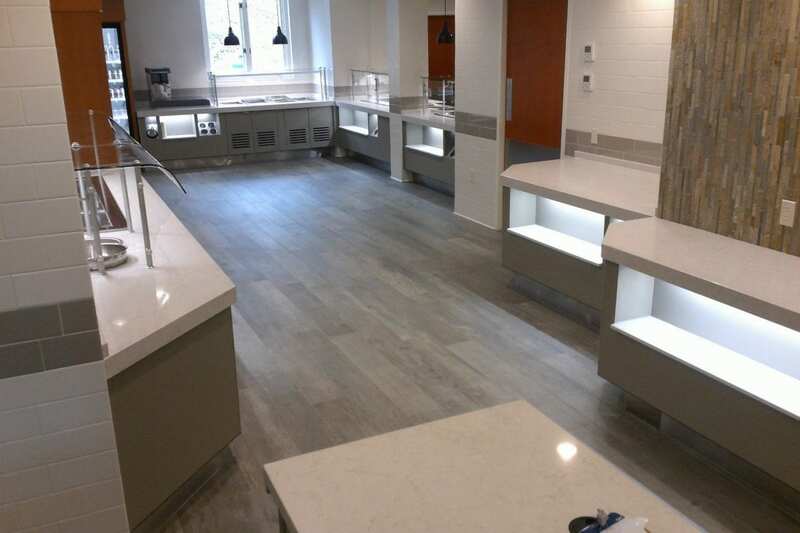 Harrison High required a multi-phased project to accomplish their goals of increasing participation rates and improving utilization of space. 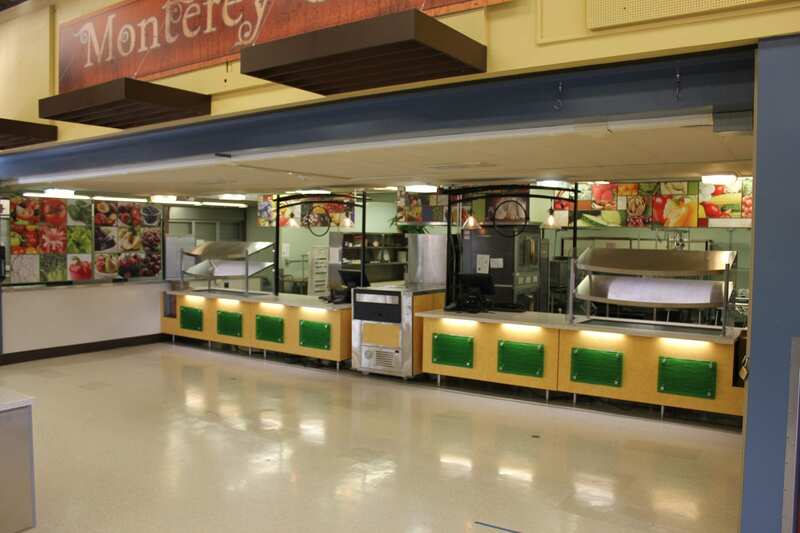 The school had about a 55% participation rate and required a full remodel/replacement of existing outdated serving lines. 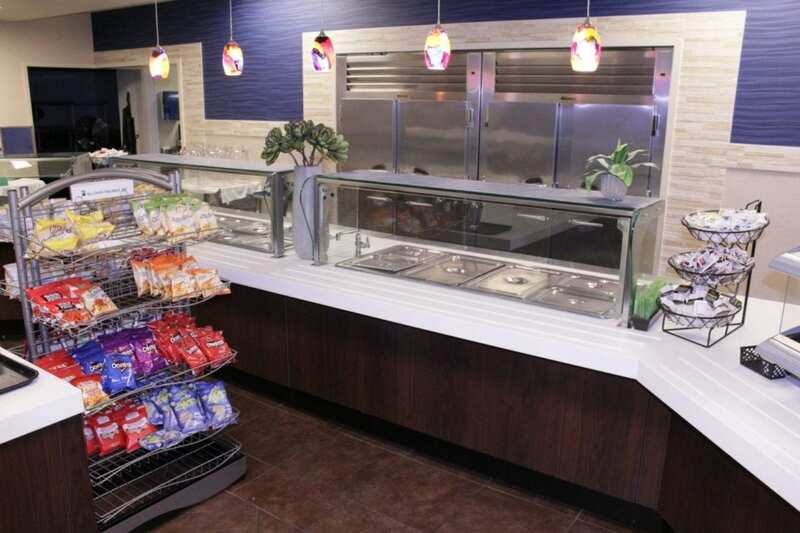 The school needed a new retail concept that provided design flexibility to replace the outdated existing serving line. The school wanted a modular retail concept for an under-utilized lobby space. 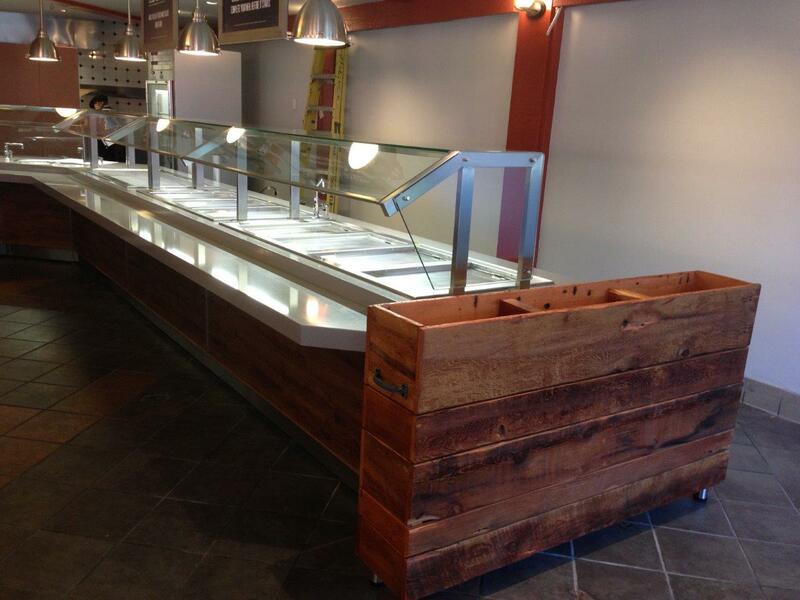 The Director at Harrison High School wanted to put a retail concept in the main lobby of the high school. The goal was to increase participation in their breakfast programs, and to also use the concept as an additional lunch venue, for after school activities or even events in the auditorium. The project went from concept to completion in 5 months with modular pieces that can be moved to different locations and traffic rails designed to match the décor.